Scientific and Production Enterprise "Sensor"
NPP SENSOR is renowned worldwide as the supplier of instruments for management of industrial processes. We're committed to meeting our customers requirement whenever it's possible. The main advantages of our products are high quality, extended lifetime and reliability - all confirmed by various factory tests, available certification and our clients testimonies. Our sales team will provide you the best possible assistance to select and order equipment matching your demands at reasonable price. ensuring site safety due to automatic pumps deactivation function in case of tank overfilling and personnel warning. Used for continuous high-accuracy measurement of liquid products level in large storage tanks during accounting and process operations. Used for low viscosity liquid media in the absence of suspended particulates. Operated on sites of chemical, pharmaceutical, food, oil and gas, fuel and energy, machine engineering industries. Can be installed on open sites in conditions of precipitation and sun radiation exposure, in explosion hazardous areas of the rooms and outdoor installations. Vandal-proof enclosure made of corrosion-resistant steel. Explosion protection level – very high safety in case of explosion. A large selection of cable shield mounting devices. Ambient operational temperature range is from minus 50 to plus 100 °C. Measurement range up to 25 meters. High-accuracy measurement of level, density, media interface level, temperature, volume and mass of petroleum products and LPG. industrial automation systems of the food and chemical industries, municipal service. A broad list of design versions for various operational conditions and customer technical requirements. A wide selection of the data output interfaces for the measured value: 4-20 mA (HART), RS-485 (Modbus RTU), SENS. guide length: up to 6000 mm. Liquid level measurement step: 1 mm. The PMP are suitable for creation of commercial accounting systems for petroleum products and LPG, which is evidenced by the certified mass measurement techniques. Measurement range up to 6 meters. 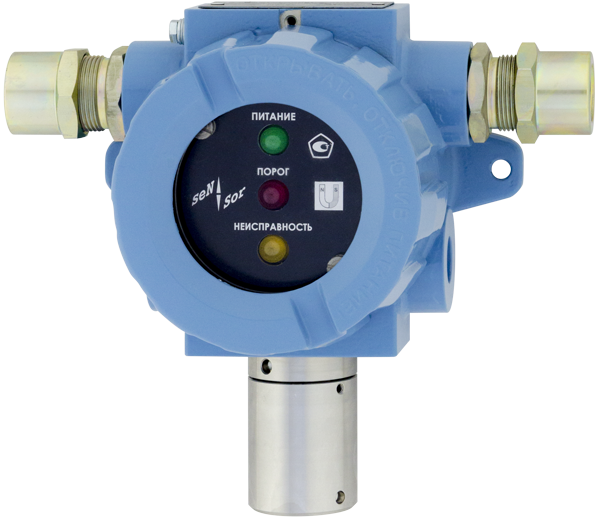 Measurement of underexplosive concentrations of combustible gases and vapors in order to ensure safety at energy and chemical industries sites. 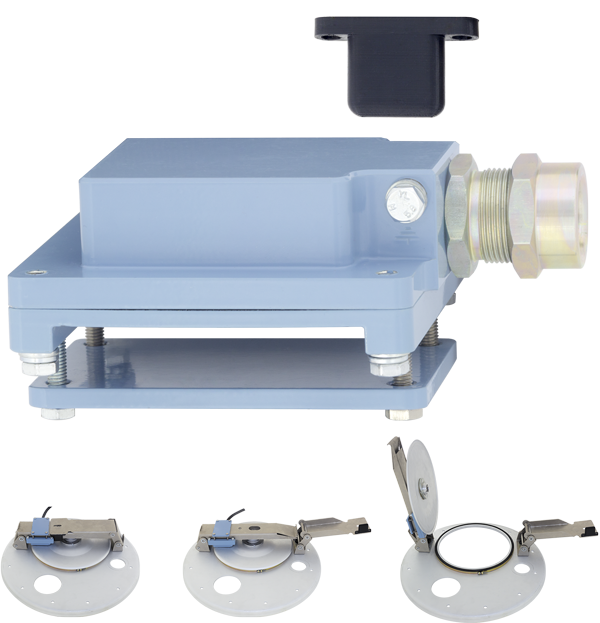 An optical sensor is used, unresponsive to exceeding of LFL (lower flame limit) and substances which are poisonous for catalytic sensors. Provides local light indication and signalling of an adjusted LFL, power availability, and malfunction detection during self-test. digital serial interface RS-485 (protocol Modbus RTU). Two relays are available for commutation of actuators circuits for emergency protection. Ambient operational temperature range is from minus 40 to plus 60 °C. Explosion protection type – 1Exd[ib]IIBT4. Designed for production of light, sound and combined warning and alarm signals in orders to attract attention of personnel in emergency and other situations, as well as for indication of equipment operation mode. Explosion hazardous areas of rooms and external installations at sites of energy, chemical and mechanical engineering industries. Can be installed on open sites in conditions of precipitation and solar radiation exposure. Vandal-proof enclosure made of aluminum alloy. Double-colored high-brightness LED emitter with a circular overview. Sound signal loudness is more than 100 dB. Independent management for each light emitter and sound. 20 variants of light signals for each light emitter. 49 variants of sound signals and two levels of loudness. Ambient operational temperature range is from minus 50 to plus 60 °C. Explosion protection type – 1ExdibIIBT5. 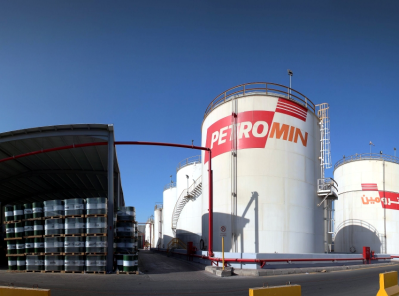 Used in explosive areas at filling racks of oil terminals and petrol stations. Used for earthing of road tanker trailers and other mobile tanks in order to deflect static electricity charges during discharge and filling of combustible and flammable liquids and liquefied gases. Provides local light indication and signalling of power availability and malfunction detection during self-test. 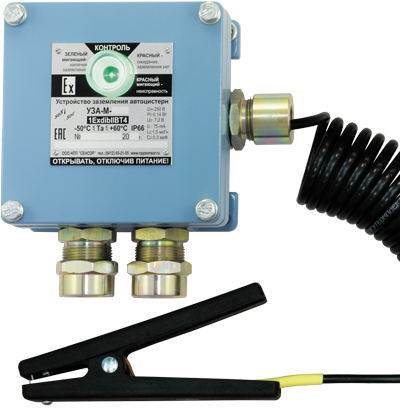 Continuous control of earthing circuit and production of permission signal for filling and discharge, as well as locking of actuators in case of earthing circuit breakage. Explosion protection type – 1ExdiIIBT4. ensuring transportation safety and prevention of fuel theft. 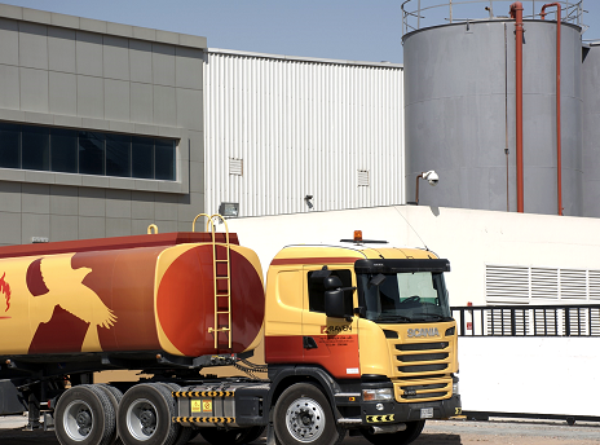 Used in monitoring systems for transport and stationary sites in order to prevent the theft and misconduct of the personnel, resulting in fuel losses and creating of emergency situations. 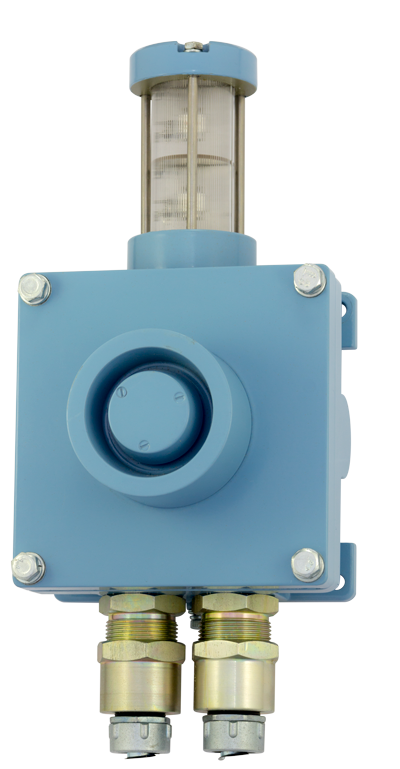 Allows to monitor the status of manhole covers for tank trailers, tanks, process wells. The magnetic key from the sensor kit may be used a an electronic seal. The integrated use of the electronic compass, gyroscope and accelerometer provides the best definition of the cover position.